I’m going to see/hear Sedaris at the Vogue tonight. I’ll let you know how it goes. Probably not. Tickets came up and it made me realize that I haven’t really read anything of his (other than the odd New Yorker piece) since When You Are Engulfed in Flames a bit after it came out in 2008. So it’d been a while. Explore Diabetes is a collection of narrative essays, and it was fine. There’s that thing where you don’t necessarily feel like reading each and every essay but you don’t know which ones are the good ones and which are the skippables and you don’t want to miss the good ones so you end up reading every single ones of them anyway, which just leaves you somewhat resentful at the end of the collection. It happens a lot with short story collections too. Modest Bestiary is a collection of short stories as if the Grimm brothers had the internet. It’s a bit dark; I found it entertaining. Tonight should be entertaining. 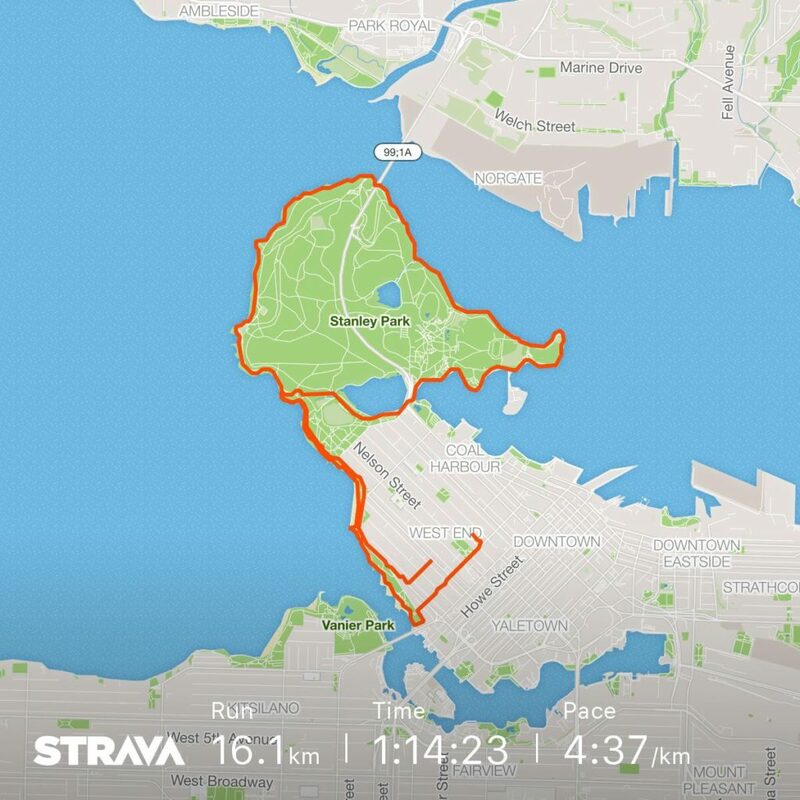 I’m still riding a bit of a high from the BMO Half Marathon last weekend and in the midst of a deep spring clean of my studio and packing to fly off to Helsinki to run their namesake half marathon I signed up and paid money to run the Victoria Marathon in October. So no backing out now unless I want to essentially light $98 on fire, which is what probably more than a few people think I just did anyway. Anyway, my goal is to run a Boston Qualifier, which for me means sub 3:15:00. I realize that that won’t actually qualify me for Boston–to run 2018 the BQ times were minus 3:23, which dashed many a dream. I try not to dream. My goal is a BQ; actually running Boston, well, I’ve been sort of toying with the idea of the 125th Edition. For me to run a BQ I need an average pace of 4:37 per kilometre for an estimated finish time of 3:14:48. Yesterday I went out and ran 10 miles and aimed to run 4:37 and somehow, miraculously, finished 10 miles with an average pace of 4:37. There was a lot of watch watching. Next Saturday in Helsinki I want to run a 4:37 half marathon, for a finish time of 1:37:24, which is off my PB by a bit, but will be my second best. I also just want to have fun and not be dead afterward. Hey maybe a post-half-marathon sauna. I hear Finland has saunas.